When you’re running an online eCommerce store, it’s easy to get obsessed with numbers. How many products am I shipping out today? How many people visit my website every day? How much should my products cost? How many of my site visitors are converting to customers? Because lets face it – if your eCommerce conversion rate is low, you’re missing out on lots of sales. (Credo can help with that here). Don’t let that discourage you, though! Keep reading, and you’ll learn several tactics you can use to turn more visitors to paying customers. When you shop in a physical store, you can pick up the product and examine it closely. Just being able to do that can go a long way toward helping you make a buying decision. But when a customer wants to buy something from your eCommerce store, they can’t pick it up and look at it. They have to rely on your product photos and the information you give them to make a decision. That’s why it’s critical for you to answer pre-sales questions on your product pages. A pre-sales question is a question your customer needs an answer for before they buy. Will this shirt fit right? How can I know for sure? In this scenario, you could answer their pre-sales question by providing a sizing chart on the product page. The sizing chart would allow the customer to get an answer for their pre-sales question and make them more confident in their purchasing decision. 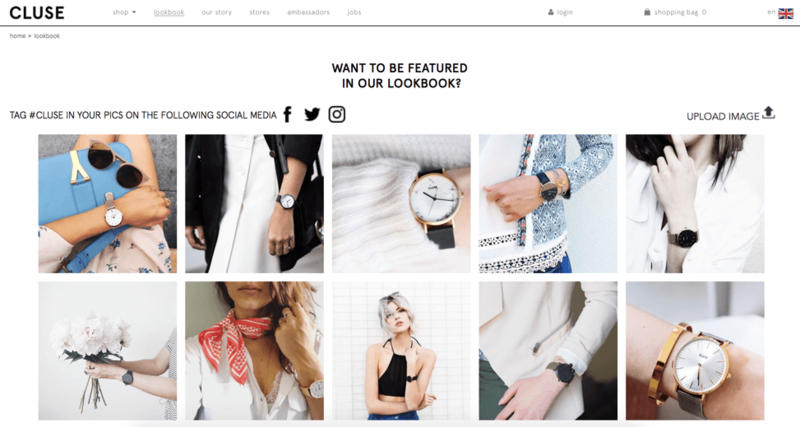 Displaying user-generated photos is another good way to answer pre-sales questions – especially if you sell something wearable. Let’s say you sell watches. Will this watch look too bulky on my small wrist? Now obviously, they can’t try the watch on before buying. But if you’ve done a good job of collecting user-generated content, the customer should be able to find a photo of someone with a small wrist wearing your watch. Watch brand CLUSE has an entire page on their site dedicated to user-generated content – perfect for answering pre-sales questions and driving more sales. Answer the questions your customers are asking to help them overcome objections and feel more confident in their purchasing decision. Just like that, they’ll be one step closer to hitting the “Buy” button – and you’ll be one step closer to the eCommerce conversion rate you’re after. Have you heard of the scarcity principle in psychology? It states that humans place value on items based on how easily they might be lost. That means that, if a product in your eCommerce store is scarce, you need to let your customers know. 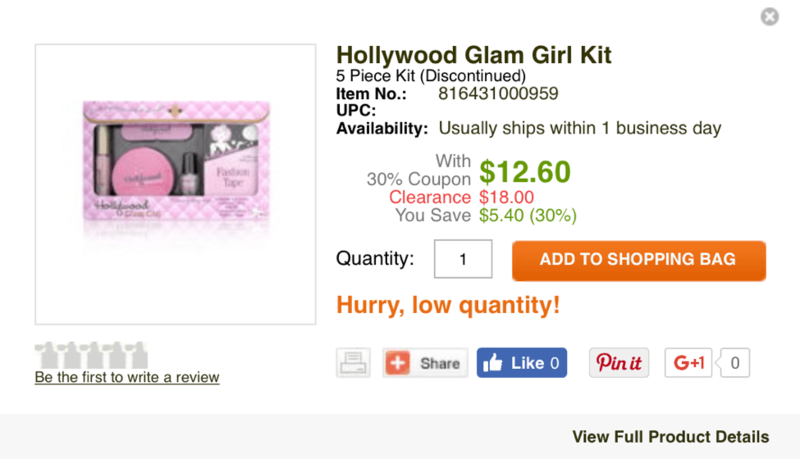 The “Hurry, low quantity!” copy lets customers know that the item is scarce. Because the product is difficult to acquire, customers perceive it as more valuable and feel like they need to make a buying decision fast (as opposed to putting it off until later). Make no mistake – this tactic can be crazy effective. One marketer even used scarcity and urgency to increase sales by a whopping 332%. So if you want your products to fly off the virtual shelves, use scarcity. It’s a great way to motivate your customers to buy now. Did you know that free shipping is the #1 most important thing to customers who are buying online? It’s true – when surveyed, 73% of participants stated that “unconditional free shipping with purchase” is “Critical/Very Important” when making a purchase. A test run by Red Door Interactive showed that adding free shipping increased an eCommerce business’ orders by 90%. Marketer Brandon Eley boosted his conversion rates by 50% overnight by adding free shopping. Data from Stich Labs indicates that offering free shipping can boost revenue by 10%. If you’re still charging for shipping, consider removing the fee. At the very least, run an A/B test to see how your customers respond to it. I don’t know about you, but I can’t stand complicated check-out processes. Seriously – if I’m trying to buy something and the site forces me to register in their system first, I’m going to leave without making a purchase. An eConsultancy survey showed that almost 26% of customers said forced registration would cause them to abandon their shopping cart. So, don’t force people to register before they buy – it’s not worth the sales you’ll lose. Plus, there are plenty of better ways to capture email addresses, which brings me to my next point. Pop-ups? No way – those are SO annoying! But the thing about pop-ups is that they work. In eCommerce marketing, about 35% of customers can be saved with an exit pop-up. And a Justuno study showed that when an eCommerce store added a simple discount pop-up to their site, they increased email sign-ups by 758% and boosted sales by 50%. The key to making a high-converting pop-up is offering your customer a discount or enticing offer that keeps them shopping. Instead of leaving the site or putting off a purchase until later, the customer might sign up for the discount. Even if they didn’t buy at that moment, Modavanti could use email marketing to persuade them to buy later on. So, never underestimate the power of a pop-up. When used correctly, they can be the difference between an indifferent shopper and a loyal customer. Because even a small tweak to your pop-up copy or a minor change in the location of your scarcity/urgency elements could increase your eCommerce conversion rate in a big way. 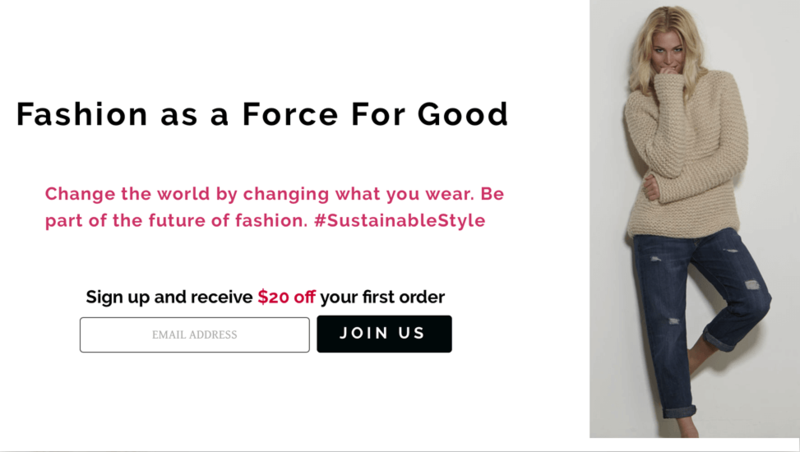 What eCommerce conversion optimization tactics do you use? Share in the comments section!